Rosherr "Validating that this promo code is working out well. just select and underwear product , a proceed to checkout , paste your code and apply it "
D. B Offer expires 8/20/17 at 11:59 p.m. PST. 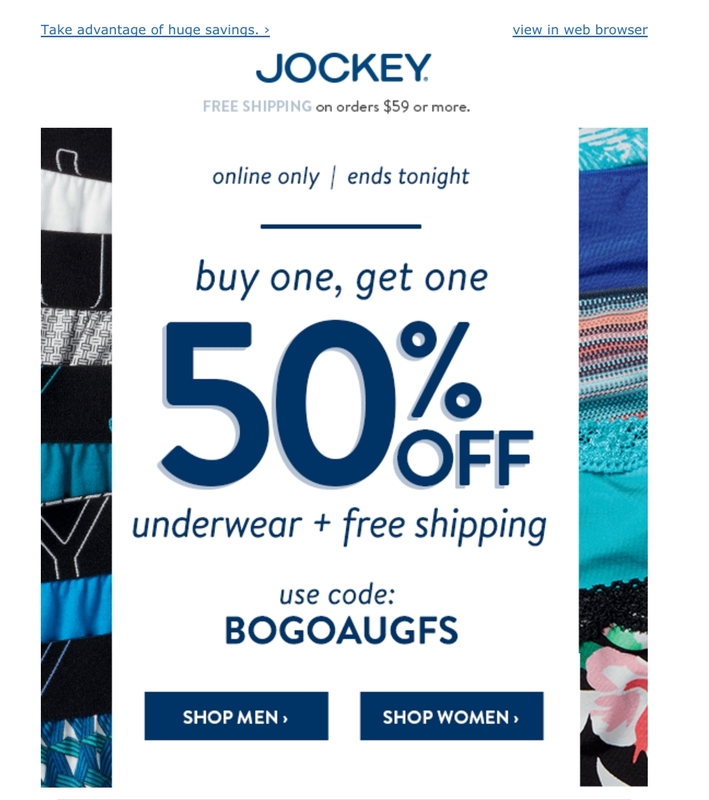 Valid only on any underwear purchase with coupon code BOGOAUGFS. Free standard shipping valid in the 50 United States and the District of Columbia only. 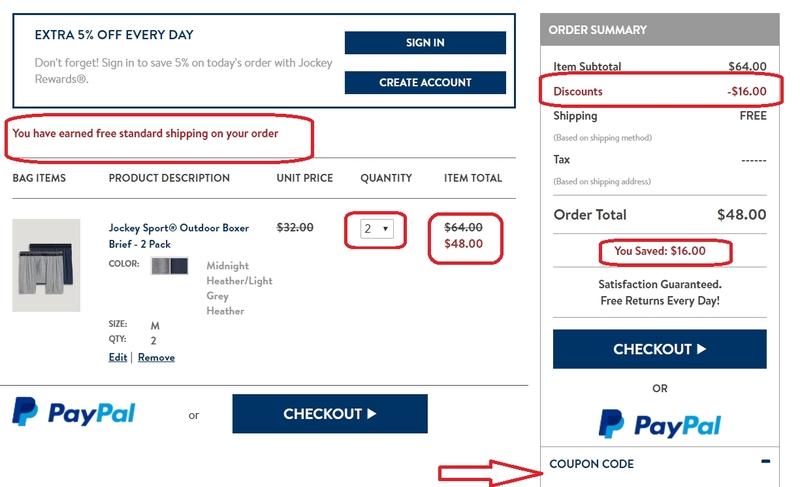 Discounted item must be of equal or lesser value to the value of the item purchased. Discount applied at checkout before tax and shipping. Not valid on RealFit bra by Jockey style nos. 6701-6703, 6705, 6707, bra fit kits, sale items, previous purchases, Jockey Being Family® items or in-store. Selection varies; available on in-stock items only while supplies last. Cannot be combined with any other offers, discounts or promotions. No rain checks/cash redemption. Void where prohibited.